The UK Government’s decision to end certain renewable energy generation subsidies, including the closure of the Renewables Obligation to all new generating capacity from March 2017 and the intention to close the FIT scheme to new applicants from 1 April 2019 (with some exceptions), has necessarily triggered a reduction in the pipeline of new onshore projects across the nation’s renewable energy sector. As the Scottish Government strives to reach its target of generating 100 per cent of its electricity consumption and 11 per cent of its heat demand through renewable sources, the sector’s long term viability is more dependent than ever on its ability to continue to adapt to this more challenging environment, in order to secure external investment. Despite the challenges of operating in a subsidy-free environment, the good news for those who remain involved in renewable energy projects is that they are still very capable of attracting debt finance, although the nature of available finance may be changing. While the appetite for developing new projects has certainly diminished since the ending of subsidies, many of those who are able to forge ahead are seeing an upside to their funding position. There is plenty evidence of a consistently healthy level of competition in the market amongst lenders to finance a decreasing number of new developments. Onshore wind projects as well as hydro, solar, anaerobic digestion and energy from waste (EfW) developments are all in the mix for investment. 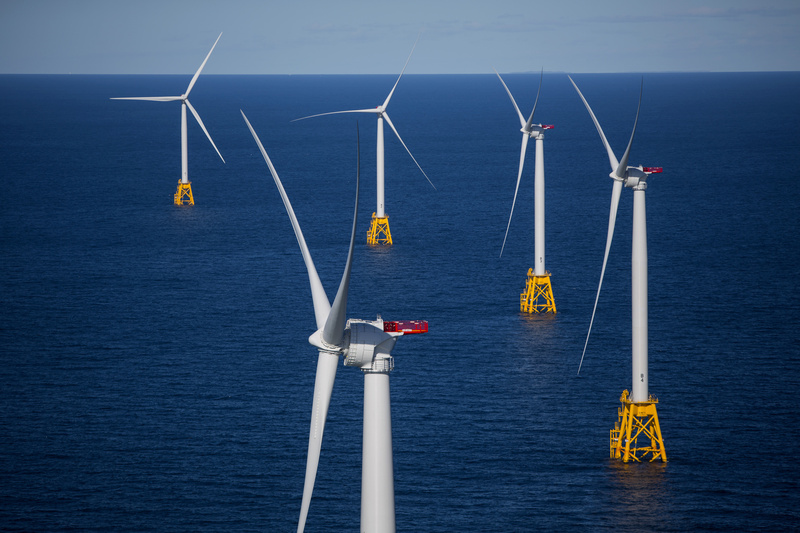 There is also consistent interest across a wider range of lenders in the larger offshore wind developments, boosted where a CFD allocation is available for new projects. Debt finance is less likely to be available for wave or tidal generation as well as other similar novel technologies being developed in Scotland (such as kite turbines and mine shaft gravity-based storage), due in part to their lacking the required longer-term generating and maintenance track record. This competition tends to be between a range of potential funders, from traditional banks, pension funds, insurers, and, more recently, alternative lenders or challenger banks. Lending on generating energy projects will generally be provided via either limited recourse project finance or (for smaller assets) via asset finance. In a changing funding climate, we are seeing an increasing number of re-financings (often triggered when operating projects are being bought/sold) within the renewables sector. This is especially the case for those which have achieved substantial de-risking on completion and connection to the grid (in some cases, falling within applicable subsidy “grace periods”), cementing their longer term viability. Debt finance providers are also actively seeking out projects which are or can be consolidated into portfolios for financing purposes in order to spread associated risks across multiple projects (through cross-collateralisation). For borrowers, this approach may also improve both debt availability and pricing (as well as the possibility of less stringent lender control over the project). A portfolio structure can also attract a wider pool of finance providers, beyond those which only support single asset projects. There’s also a strong desire to fund unsubsidised or private wire projects, provided that they can demonstrate suitable compliance with the lender’s required base case covenant for the required term, as well as evidence of a suitably financially robust counterparty where there are private wire power purchase arrangements. Another key trend in renewable energy project funding is the increase in community-led projects. These often involve differing corporate entities from the usual limited company or LLP borrower entity, so for some lenders there may be additional queries around borrowing powers or capacity of such projects in order to determine their ability to take on debt and grant appropriate security for it. These projects will likely also be subject to requirements to demonstrate compliance with applicable community interest objects, as well as having “asset lock” restrictions which add additional concerns for those considering providing them with debt finance. Those community projects which are well-organised, potentially with a third party management company in place to help run both the project and financing process, may generally find it easier to present a suitable proposition to potential lenders and attract investment. As the UK’s renewable energy sector faces some significant challenges in the post-subsidy market, it is encouraging to see that a range of financing options remains available to those projects which can spread risk and demonstrate their viability. Engaging with financially strong and well established counterparties, ensuring all contracts are well-negotiated and investable is essential. Early involvement of financial/technical advisers, to produce a suitably robust financial model for both new and existing projects, will also help ensure that they can continue to attract debt finance in the current market.